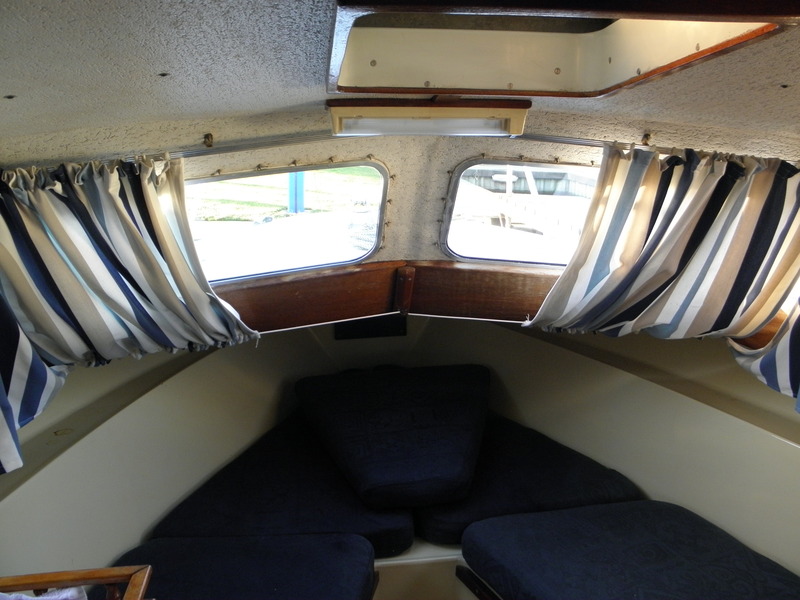 The boat has a new aluminium rubbing strake fitted in 2018. 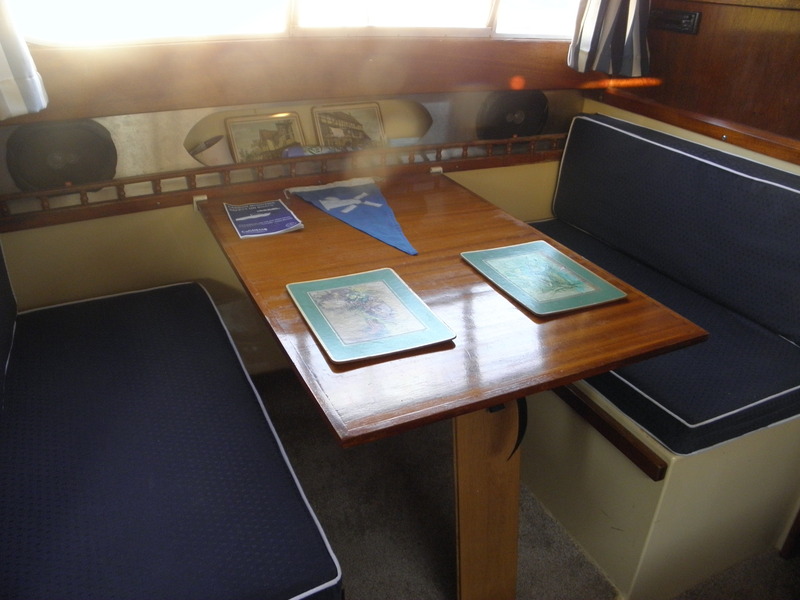 There is ample stowage throughout the boat. This craft has a spacious cockpit. 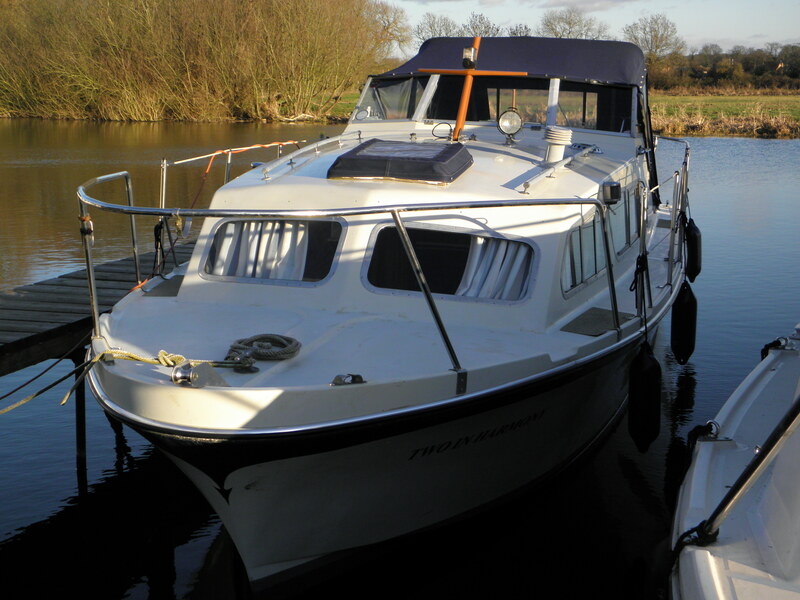 This is a 4 berth boat with a V-berth in the front cabin and a double bed in the middle cabin. 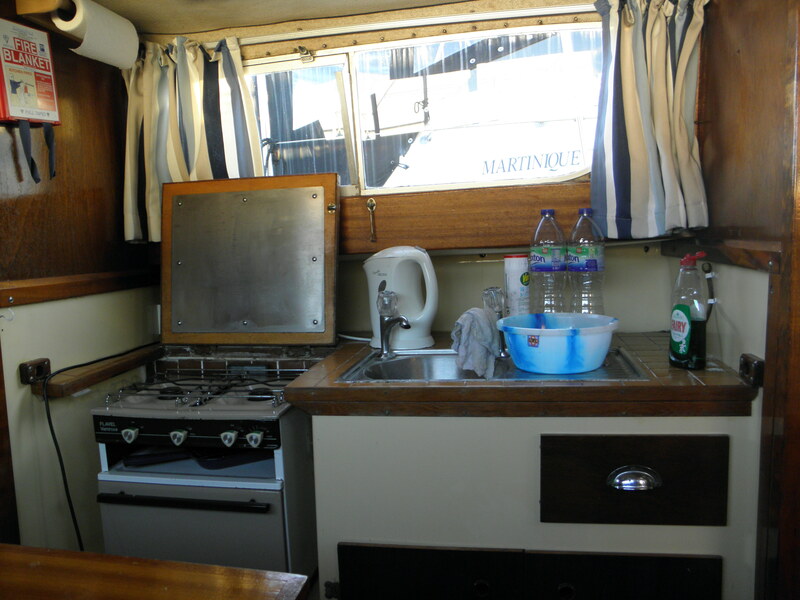 This boat has a 3 way Electrolux fridge (gas,240v and 12v) and a Flavel Vanessa cooker (2 rings, oven and grill). 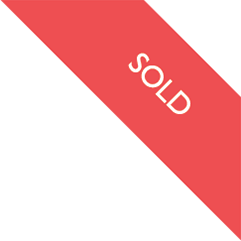 There is a sea toilet fitted. 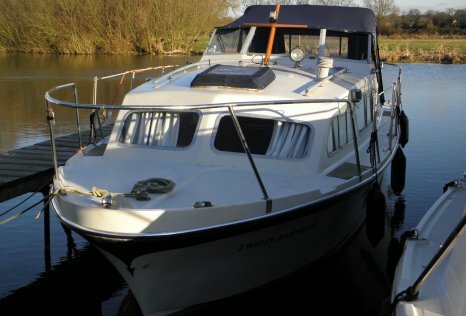 This craft is a great family boat and in fair weather it can do short coastal hops.